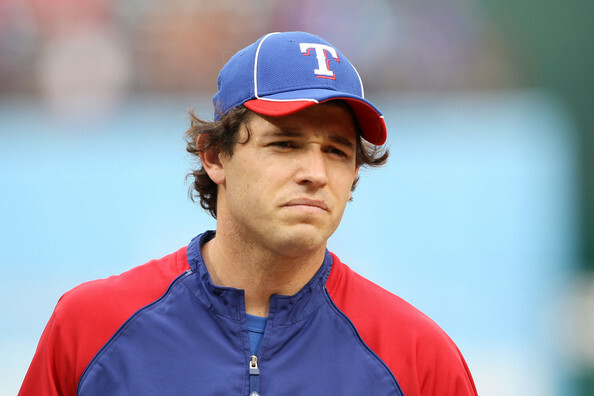 Ian Kinsler is excited to be joining the team. So. I thought all those tweets I was seeing about a possible Prince-Fielder-for-Ian-Kinsler trade were an elaborate trolljob by Jon Heyman. Ha ha! The joke was on me! The Tigers really did trade Fielder for Kinsler! The Tigers are also going to send $30mil to Texas in the deal. I… I’m kind of ambivalent about the trade at the moment. Upon first glance, it seems like the Tigers sold awfully low based on a down year for Fielder, who’s only 29, with no real evidence he’s going to continue to decline, for an injury prone 2B who is going to turn 32 in 2014. I mean, there are obvious pros and cons for both side of course, but… I dunno. A bunch of people think this means they’re freeing up a ton of money so they can re-sign Scherzer and Cabrera, but I wouldn’t put all my eggs into those baskets just yet. They’re not saving much short-term—they’re paying $92mil for Kinsler’s services, basically—though they will when it’s all said and done. They’ll end up saving roughly $76mil or so. I don’t really see how they can’t re-sign Scherzer now though, at least from a PR/fans standpoint but I also don’t think trading Fielder necessarily facilitates that. I see it as more of a move with an eye to the long-term financial flexibility of the club than a move to free up cash to sign free agents and extend the Tigers’ own pending free agents. As far as I can see, Kinsler is a solid, slightly below average defender without a lot of range, which, hello you’ll fit right in over here. He’s been roughly league average with the bat the last few years, after a career year in 2011, which seems acceptable to me. I’ll trade the offense for the defense at 2B. And having Iglesias on the right side can probably make up for some of what Kinsler lacks, as far as range goes. 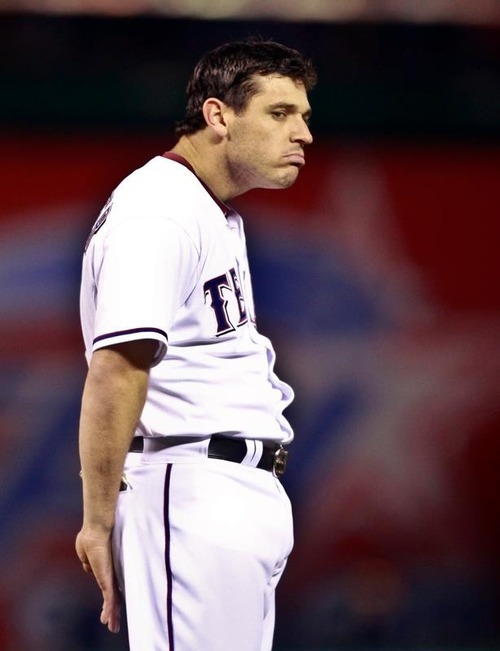 Kinsler is really good at looking like he just sucked on a lemon. Kinsler posted a -0.3 dWAR in 2013, after being well above average for the previous four years. It’ll be interesting to see if that rebounds from his 2012 numbers or if he’s in permanent decline. Even then, slightly below average defense is better than what Cabrera and Fielder provided. Right now, on paper, the deal looks like a win for the Tigers. Possibly a win/win if Fielder rebounds in Arlington as Steamer seems to expect him to. Kinsler and Fielder are projected by Steamer to be worth 3.6 WAR and 3.7 WAR respectively (though Dan Szymborski seems to think this is a little optimistic on Fielder’s part). The Tigers won’t even have to pay the $30mil to Texas until 2016-2020. In a few years though, the Rangers will still be paying Fielder’s contract and the Tigers will likely have a new 2B by then. Dave Cameron of Fangraphs posted a pretty good take on the Tigers’ side of the deal here. Yes, Prince went through a rough year, personally and professionally, and I hope he rebounds with Texas. He’ll hit some homers in that ballpark, at the very least. This also means we have to say goodbye to Omar Infante. :( Bye Omar. I think it was a good move for Detroit. I would have like Omar to stay, but he’ll make money somewhere, especially of Cano gets anything close to what he’s asking. I’ll miss Fister more, but at least DD is looking to the future a little bit, while keeping them in ‘win now’ mode.